Shop Window Stickers - Facebook stickers for increasing the number of friends/followers for your business at the busiest time of the year for sales! 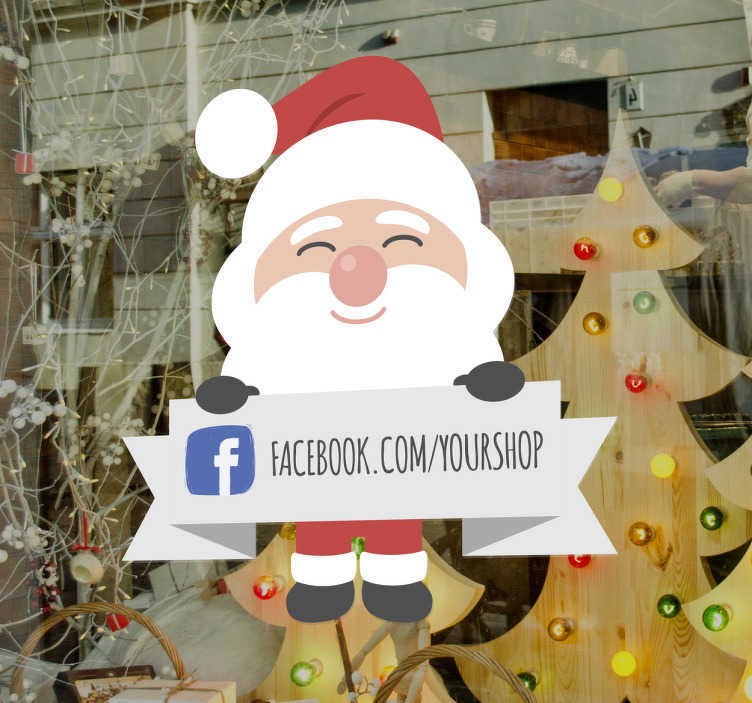 The shop window decal features Santa Clause holding a banner with the names of your business´s Facebook on it. Our personalised business stickers will always go a long way in increasing your customer base, especially at Christmas time! Business wall stickers are easy to apply and leave no residue on removal.